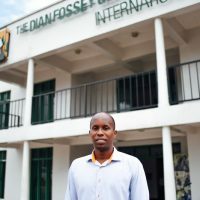 Virunga News – Conservation, Preservation News & Tourism News in Virunga Regions in Congo, Uganda and Rwanda – Africa. 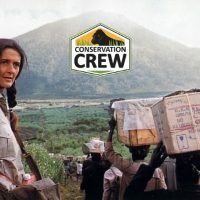 Welcome to Virunganews.org an online travel resource magazine offering all the conservation news, tips and travel updates about the Virunga regions. 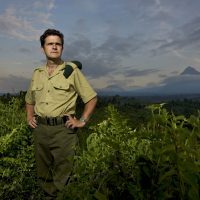 On this news web portal you will find all the information that you require to know before you visit the Virunga region. The Virunga region is made up of the chain of Virunga mountains which include the Mount Nyiragongo, Nyamulagira, Mikeno, Sabyinyo, Muhabura, Visoke, Karisimbi, Gahinga among others. In the Virunga region you find three gorilla national parks where you find the mountain gorillas and from research it is said a total population of 604 species found in the Virunga region. Among the 3 parks in the Virunga region you find the Virunga National Park in Democratic Republic of Congo, Volcanoes National Park in Rwanda and then the Mgahinga Gorilla National Park in Uganda. 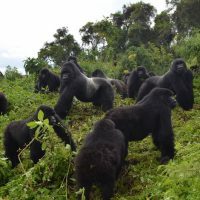 Today gorilla tourism has grown up in the Virunga region and a lot of tourists travel to the region for the gorilla tours and before a lot of tourists have been flocking to Volcanoes National Park due to the accessibility of the park from Kigali. 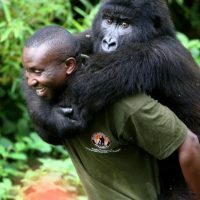 But from the new price update of the gorilla permit from $ 750 USD to $ 1500 USD per person the number of tourists are reducing and today all those willing to experience the gorilla trek in Africa easily cross to Uganda visiting the Mgahinga Gorilla National Park and the Bwindi Forest National Park where the gorilla permit cost $ 600 USD per person. More so when the price for the gorilla permit of Rwanda was increased last year, a new opportunity of promoting the mountain gorillas in the Virunga National Park, Congo opened but with bad luck an abduct kidnap of the 2 British tourists occurred into this park and the tourism was closed and we expect this park to be opened in 2019. Once the Virunga National Park, Congo open the “Virunga News” magazine will publish this good news and we always updating our blog news about the safety in the park such that we can promote tourism to travelers willing to experience the gorilla safaris in Virunga National Park. 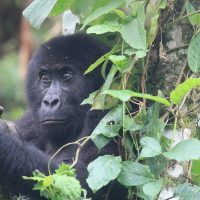 Gorilla experience in the park is so much affordable due to the permit is discounted at $ 400 USD per person in high season and $ 200 USD per person in low season and in this region you can do as many gorilla trekking experiences. For the gorilla photographers this is the place to visit as you can cheaply visit the gorillas so many times and the vegetation is so much light to take clear shoots and videos. 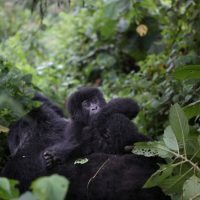 Are you looking for the long stay with the mountain gorillas in the Virunga National Park? It is much possible, this park has got 06 habituated gorilla families and you can visit them all during your Congo gorilla safari, meaning in your 6 days stay in the Bukima Tented Camp you can each day visit one gorilla family. 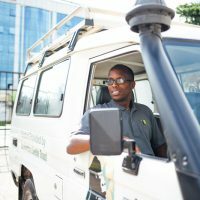 Therefore, would you like to try and see how this experience can really be, contact our travel expert and you will get the detailed package including all the Congo safari logistics. 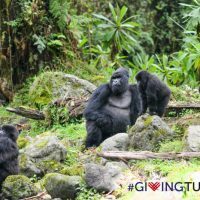 More so if you have enough time to stay in Africa and enough funds we can customize your Congo gorilla adventure with the hike to mount Nyiragongo and relax at the Tchegera Tented Camp at the beautiful island situated at the foots of the park and shores of Lake Kivu.